New England Emmy awarded to Saving Our Waters, a PBS documentary produced with scientific guidance from UVM faculty. Saving Our Waters, a Vermont PBS documentary series on the health and resiliency of the Lake Champlain Basin, was awarded the 2018 New England Emmy Award for excellence in environmental programming. The documentary was produced in partnership with Vermont EPSCoR, a program supported by the National Science Foundation to promote scientific progress worldwide, with scientific direction from an interdisciplinary team of UVM faculty members, including Christopher Koliba, Asim Zia, Stephanie Hurley and Brian Beckage in the College of Agriculture and Life Sciences. Donna Rizzo, acting director of the Gund Institute for the Environment; Arne Bomblies, assistant professor of civil and environmental engineering; Andrew Schroth, assistant professor of geology; and Carol Adair, assistant professor of environmental sciences also made significant contributions to the content development and science involved in creating the series. The documentary, which premiered last fall, aims to raise cultural and environmental awareness about the pressing need to protect our waterways from pollution and climate change through the lens of the Lake Champlain Basin. The three-part series examines critical issues facing the lake and its resiliency through scientific methods that examine the impact of future decisions to help keep Vermont’s vital waterways clean. 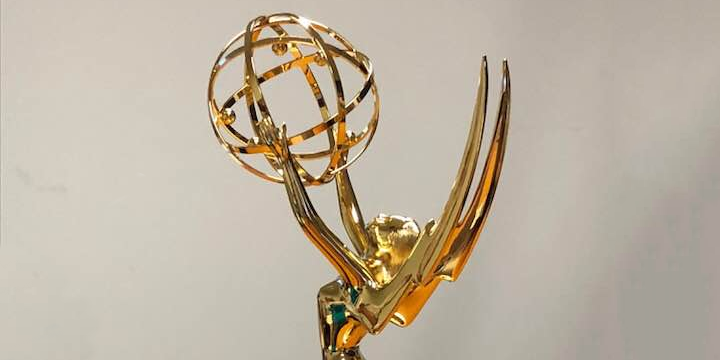 The New England Emmy Award was awarded for the series’ first installment, focusing on the state of the watershed, lakes and ponds and current conservation efforts. Koliba, a social science expert with extensive expertise in conservation and adaptation to climate change, also serves as a science leader on the Basin Resilience to Extreme Events (BREE) project of VT EPSCoR. Together with Zia, he has designed a website for the public to participate in crowdsourcing Vermonters’ solutions to improve and sustain the health of the Lake Champlain Region in an age of extreme weather events. Learn more at http://resilientwaters.org/.